The H2O Swingmaster is designed to help businesses attract more custom, drive sales and push promotions by reaching out to their specific target audience. The H2O Swingmaster can help achieve this and more, but the benefits of this sign don’t stop there! 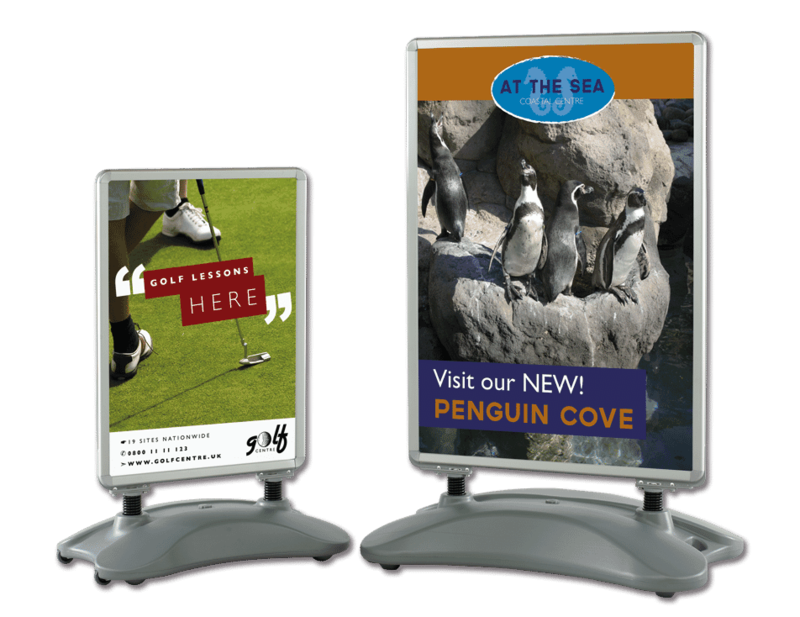 It can also help save time as well, due to the ease of the quick poster change facility; along with the added advantage that both sides of the sign can be utilised due to being double sided! It can be easy to overlook the need for a sign change; however, if you take a look around you at other businesses and their signs, you instantly notice when a sign is looking weathered, drab or damaged. Sadly this detracts from the marketing campaign that is in place, thus making it less successful. Most of the time this isn’t down to the poster campaign, but the sign holding it which lets it down. Can you really afford for custom to be lost when it is really such a quick fix?